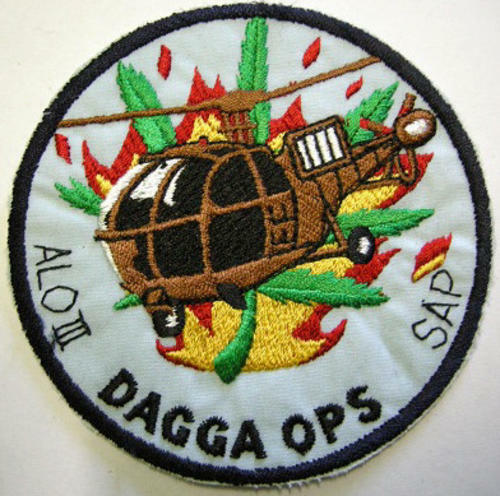 There is no doubt that in this desperate economy you will find people peddling dagga, contaminated by SAPS AirWing, pushed onto them by desperate growers. The other day I visited an expensive lodge on the other side of the Mzimbubu river, Port St. John, where I found the 3 (SAPS AirWing) spray-copters in the photo. Apparently they are using Round-Up Ultra (Glyphosate), from Monsanto to kill thousands of hectares of cannabis on the remote steep slopes of the Transkei. The spraying will continue until April, March when the crop is harvested. SA is the biggest producer of dagga in the world and also the biggest consumer. Most of the high grade outdoor stains are grown in the Transkei and much of it it exported. At the moment it is very difficult to buy local good quality dagga in the Transkei. Most of the stuff currently being sold all over SA comes from Swaziland and Lesotho! When these choppers spray large areas of soil they not only kill these valuable crops but also entire eco systems- the land then loses much of it’s top soil and when it rains the rivers carry thousands of tons of rich fertile soil into the ocean. It is devastating! (This soil loss is also caused by poor planting methods and over grazing – mostly by goats). The Transkei is a particularly poor part of SA with many people struggling to subsist. Hence the high crime rate (which in turn discourages tourism). It’s a vicious circle. These coppers not only spray fields but also people and animals. IT CAUSES CANCER! The pilots tell of heart-rending stories of entire villages on their knees, beseeching them not to spray, and of one old woman hobbling into the fields waving a white flag. Much of Port St John’s and Lusikisiki’s economy is dependent on growing dagga. South Africa is a signee to various International anti-drug agreements, and the spraying that occurs twice annually is apparently funded by UN, UC & DEA. The local communities vote for a national governance that makes agreements with foreign nations to destroy one of our most valuable crops. Smoking dagga is a African tradition: Besides, Cannabis and Hemp offer many medicinal and other wonderful benefits to humanity. This does not often get revealed in news that peeps are willing to believe. It explains the problems some people have had with needing ‘rehab’ and suffering psychotic episodes – the organophosphate poisons the pigs spray does not kill the plants – does not prevent them making it to market. It does poison the consumers. Main symptoms – ‘chemical’ smell and full size but hollow, finger-crushable seeds. Please find a few articles relating to the SAPS & government and the spraying of dagga crops. From high in the kingdom’s remote northern mountains comes “Swazi Gold,” a potent variety sought after in consumer markets in nearby South Africa, which completely surrounds the New Jersey-sized country, as well as Europe and North America. For Swazi farmers, marijuana, or “dagga,” as it is commonly known in southern Africa, is a crop worth growing, despite police raids and herbicide spraying. Smugglers will pay farmers about $150 a kilogram (2.2 pounds), a significant amount in a country where the average annual income hovers around $1500. 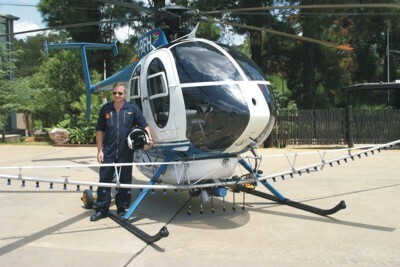 SAPS Air Wing takes delivery of a new Squirrel helicopter and three belly tank spraying systems donated by USA Government. Today, at a special ceremony at the SAPS Air Wing in Pretoria, Deputy National Commissioner, Andre Pruis, symbolically received the key for a new Squirrel helicopter and officially took receipt of three belly tank (dagga) spraying systems to be fitted to three of our aircraft. The new Squirrel helicopter boosts the police’s fleet of this particular type of helicopter to six and our total number of helicopters in service to 26. With the fixed-wing planes at our disposal, the SAPS now boasts a total of 38 aircraft. This Squirrel will be based in Potchefstroom. 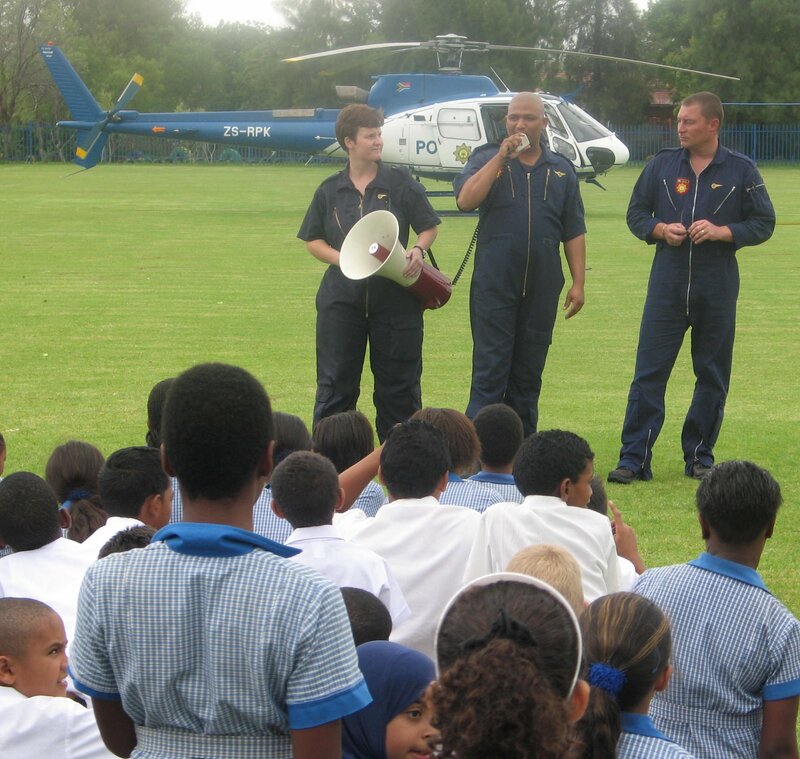 “The unique ‘hot and high’ performance capabilities of the Squirrel makes the aircraft ideal for the extremely hot flying conditions experienced in the North West Province”, said Commissioner Pruis. “With an extended endurance range of approximately 600 km, this helicopter will almost double the reach of the Air Wing and will increase their reaction time – this proves extremely effective in responding to crime situations in both rural and urban areas”, he added. The belly tank spray systems donated by the US Government, represented by Ambassador Cameron Hume, will be of great assistance to the South African Police Service as our previous aerial dagga-spraying equipment became inoperable during 2002. Pruis advised: “Although it is illegal to cultivate and supply dagga, the growing demand for this drug means that – to the unscrupulous – the earnings derived from this trade by far outweigh the risks attached”. Dagga is traditionally cultivated in the mountainous and inaccessible areas of the country, which means that aerial spraying is the most efficient means by which this drug can be destroyed. Ambassador Cameron Hume addressed those present and said that assisting in the fight against drugs and crime in South Africa is one of his key priorities. “It is in the US interest to share our experience with South Africa and to assist where we can in fighting the drug trade. The tanks will allow the SAPS to conduct spray missions against illegal drug crops. This is one of the most important tactics used in destroying the illicit drug chain”, he noted. Commissioner Pruis also thanked the South African Police Service’s airborne law enforcement officers for their professionalism and commitment to fighting crime from the sky. “Over the past six months our pilots and their technicians have rendered air support to various operations resulting in, among other successes, the recovery of 38 stolen or hijacked vehicles with an estimated value of R5 million. They also assisted in the recovery of 19 stolen or illegal firearms and the arrest of 57 suspects in connection with these seizures”, he said. A routine dagga-spraying operation went horribly wrong when a police helicopter crashed on to a sports field, seriously injuring the pilot in the Midlands town of Weenen in KwaZulu-Natal on Tuesday. The accident happened about 7am when the pilot, named only as a Senior Superintendent De Waal, came in for refuelling at the South African Police Service base next to the sports field after spraying dagga crops in the area. As the helicopter was descending, it hit a lamp pole, tilted and crashed to the ground, said police Senior Superintendent Henry Budhram. The helicopter did not catch alight. The solo pilot sustained neck and back injuries and was airlifted to a hospital in Pietermaritzburg. Weenen SAPS station commissioner Captain Len de Lange said the helicopter was extensively damaged. The Civil Aviation Authority and the SAPS are expected to investigate the cause of the crash. While the head of the SA Narcotics Bureau (Sanab), George Mason, has refused to name the poisons being used to kill dagga fields in Swaziland, the Eastern Cape and KwaZulu-Natal, environmentalists fear that the herbicides could harm other crops, cause damage to human health and force growers into environmentally sensitive areas. Senior Superintendent Mason confirmed this week that the destruction of dagga crops has resumed after a two-year lull. He denied that there had been a moratorium on cross-border operations. “These operations are extremely expensive. It was mainly because we had no money to maintain our helicopters that we have not been doing them,” he said. Earlier this month Mason briefed MPs about plans for “Operation Matekwane”. He said the operation would begin on September 24 with the approval of Swaziland. Lesotho was excluded from the operation as it had not been present at a key meeting. Mason told the Cape Times that “a variety of chemicals” were used in the operation. “All I am willing to say is that the chemicals we use have been approved by the proper authorities,” he said. Mason said Sanab still regards possession of or dealing in dagga as a serious offence and that talk of decriminalisation of dagga is unfounded. “We signed the 1988 UN convention prohibiting the illicit trafficking of narcotics, which specifies that steps must be taken against cannabis offenders,” he said. In the first six months of this year, 1 058 people were arrested for possession of dagga, and 2 353 people were arrested for dealing. Almost 70 000kg of cannabis was seized by Sanab in the same period.